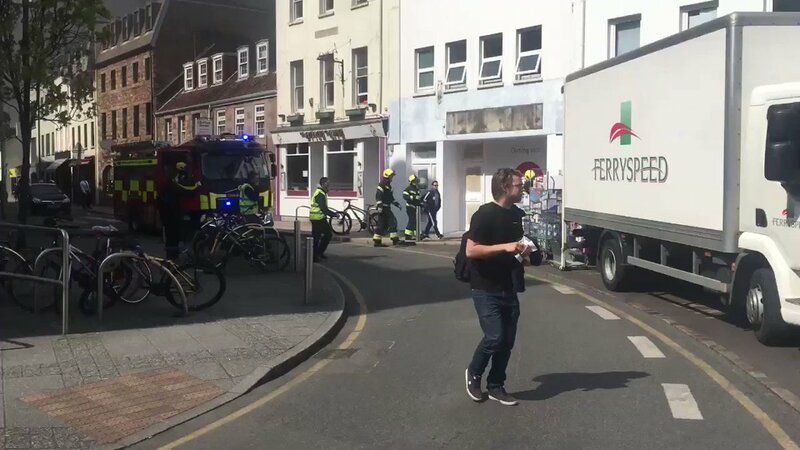 Fire crews are heading back to their station after tackling a blaze in a in a flat above a restaurant in St Helier. 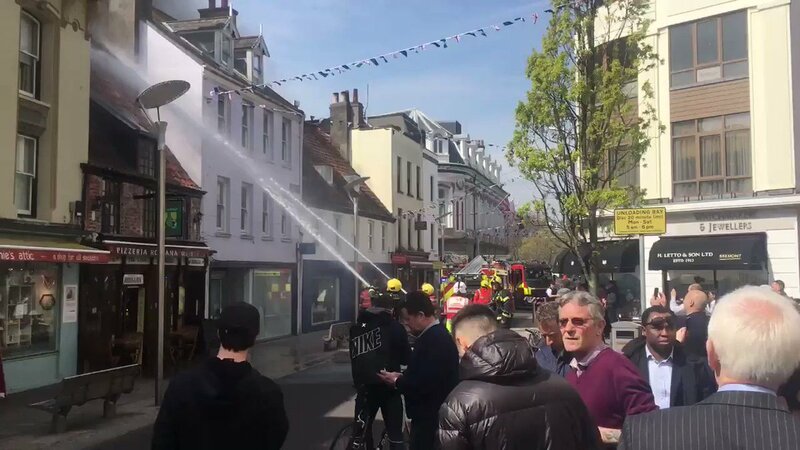 Flames and black smoke were seen billowing from Pizzeria Romana in York Street this afternoon. The fire has since been brought under control but the roof has been severely damaged. Disruption is expected to continue this evening as Broad Street, York Street & Charing Cross remain closed. Seale Street, Sand Street and Castle Street have been reopened. 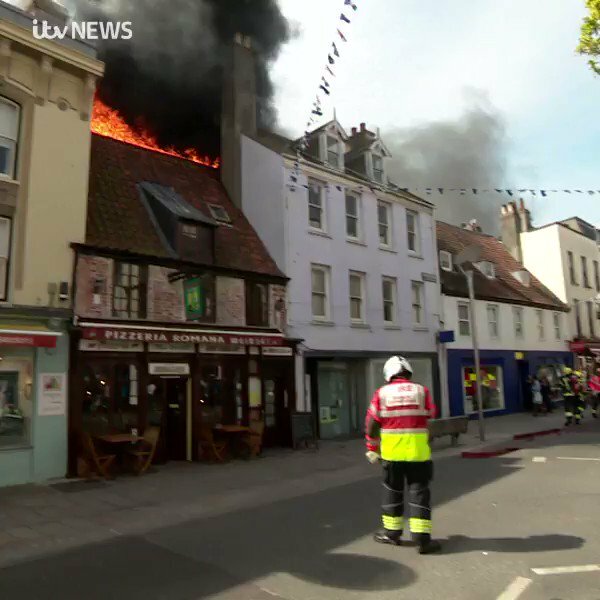 The restaurant owner has told ITV News no one is inside the building. A Tesco Alliance supervisor said shoppers left everything on the floor and were evacuated in five minutes. They say the alarm was raised at 2pm. An investigation into what caused the fire has been launched.